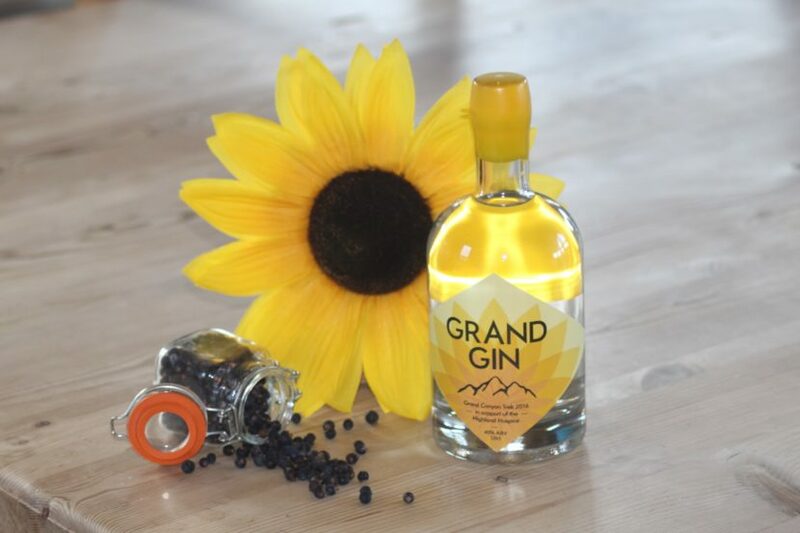 Loch Ness Spirits are delighted to have raised nearly £5000 in support of The Highland Hospice as a result of a rapid sellout of their limited edition Grand Gin. Co-owner, Lorien Cameron-Ross came up with the idea when on a charity trek in the Grand Canyon in 2016. Her fellow Trekkers helped her collect American juniper berries which she blended with her own trademark Loch Ness juniper to make a one off batch of a unique gin.